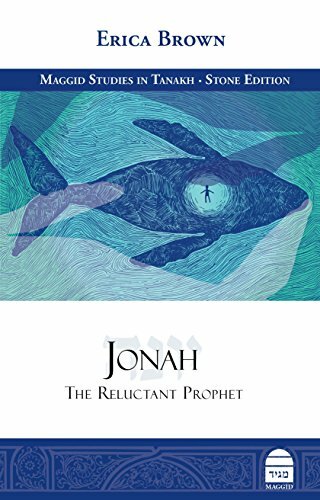 In Jonah: The Reluctant Prophet, Erica Brown takes us on a journey over land and sea, in the footsteps of the Bible's most recalcitrant prophet. Melding traditional commentators, rabbinic literature, modern biblical scholarship, psychological sensitivity, and artistic imagination, Brown travels through the four chapters of Jonah's story tracing his call to leadership, his subsequent intransigence, his momentary rise to duty and his tragic resignation in an effort to discover God's ultimate lesson for him. With insight and feeling, Brown provides us with a glimpse into the tormented soul of the prophet as he grapples with the notion of a forgiving God who is concerned even with the welfare of Israel's strongest adversary. As God struggles to teach His prophet to expand his vision and take up his divine mission, we come to understand the Divine call given to each of us to rise up to the possibility of greatness. After all, if God can change His plan, we can change as well.